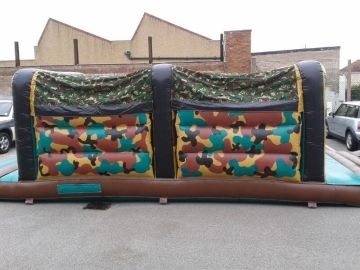 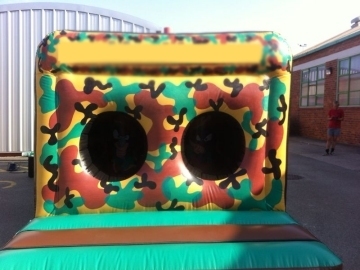 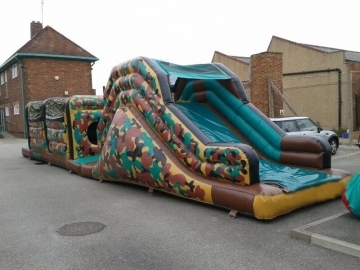 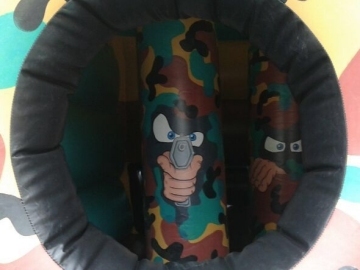 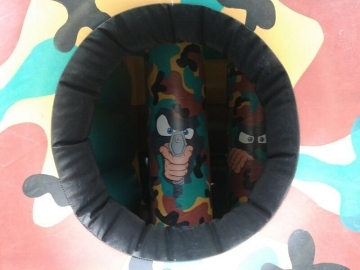 A vibrant camouflaged themed Army Commando Obstacle course! 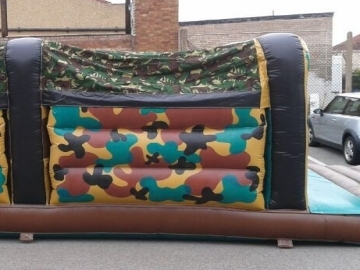 This obstacle course is sure to keep both Adults and Kids entertained all day. 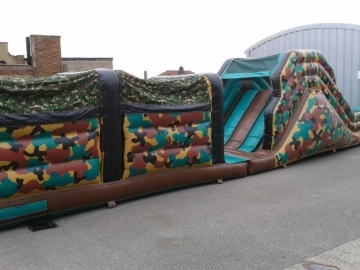 It features 2 large sections to make the Army Obstacle course - sure to be a challenge for everyone! 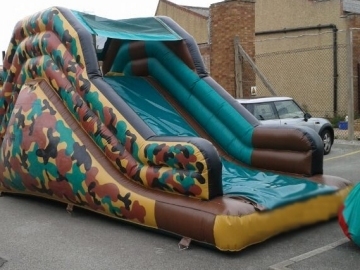 The first section has a bouncing area with bishbash columns inside, and the second comprises of a large up and over slide.